A lot of consumer attention has been brought to lamps that cure products in the salon, and not in a good way. Just when it seems like you have all of your guests educated and comfortable, a new TV personality or internet article pops up calling it out as dangerous. The irony is that the people leading the witch hunt are often dermatologists who use UV light treatments for many skin disorders including eczema and psoriasis. Dermatologists have been using these UV light treatments for over 75 years. 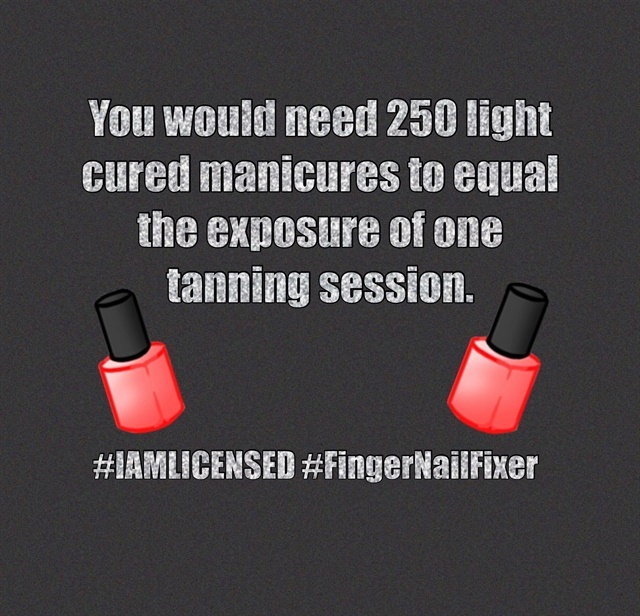 You have to wonder how much effort they put into learning anything about a light-cured manicure before bashing the light as dangerous. According to Dr. Robert M. Sayre, Ph.D., of Rapid Precision Testing Laboratories, one of the creators of the SPF rating system: “UV nail lamps are safer than natural sunlight or sunlamps.” Nail lamps with LED bulbs or fluorescent bulbs both emit UVA-1, the safest part of the ultraviolet spectrum, according to Dr. Sayre.